In addition, the government has made a number of arbitrary decisions regarding natural resource development, with absolutely no consultation with those impacted. Today, we only need to look at what is happening in Alberta with the hundreds of thousands of job losses. Who has ever heard of a premier having to decrease the production of a needed resource throughout the country and the world because we simply cannot get resources to the market? This is because of the government’s failure. The northern gateway project was approved by the former government in June 2014. It had a number of conditions on it, just like the current Trans Mountain project does. In November 2015, just one month after being elected, the Prime Minister killed the project without hesitation. It was subject to a court challenge. When we did finally hear what came out of that court challenge, to be frank, it was nothing that could not be overcome. We could have dealt with that. The court decision told the Prime Minister to engage in consultation in a more appropriate and balanced way. The court really gave what I would call a recipe for perhaps fixing some problems with the process. Did he wait for the court decision? No. He went out and killed it flat. With this approved pipeline, he did not wait for a court decision or wait to see how it could move forward. He decided that he did not want that one. I think we are all pretty aware of the Trans Mountain pipeline. It has been moving along for many years. We know that many first nations support it and hope to see it go through, as they see enormous opportunities for their communities. Of course, others are against it. What happened in this case? When the Liberals came to government, they decided they had to have an additional consultation process. However, did they follow the directions of the court in the northern gateway decision in which the court was very clear about what the government had to do to do consultations properly? Apparently not. When the court decision came down, we learned otherwise. To be frank, it was much to my surprise, because the Liberals talked about how well they were consulting and that they were putting this additional process in place. The court said that the Liberals did not do the job. What they did was send a note-taker and not a decision-maker. 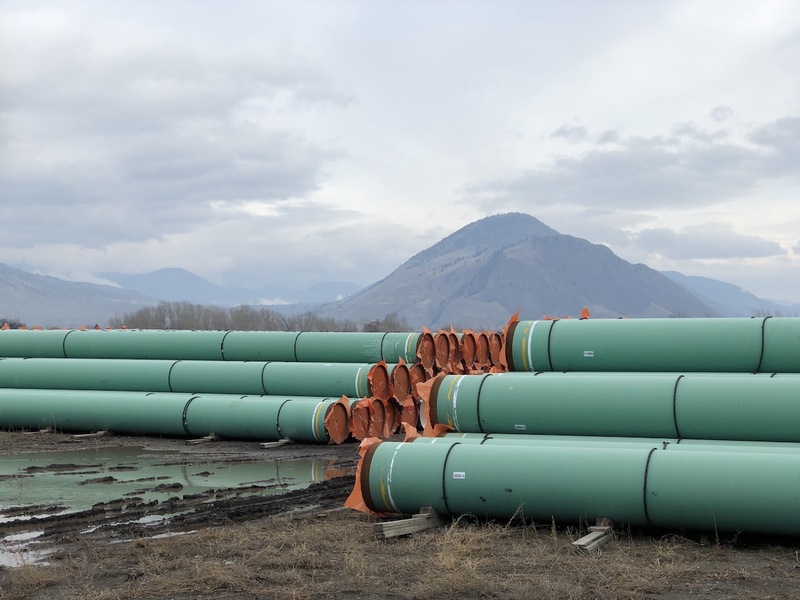 The fact that the Liberals did not consult properly on the Trans Mountain pipeline is strictly on their laps, as they had very clear guidance from the northern gateway decision and they did not do what they needed to do. They should be ashamed of themselves. Had they done a proper process, they likely would not have had to buy the pipeline, the pipeline would be in construction right now and we would be in a lot better place as a country. With respect to the Trans Mountain pipeline, the blame for where we are on that pipeline lies strictly on the laps of the Liberals. I also want to note, in spite of what people say, that the courts have said the process was okay, so it has nothing to do with environmental legislation by the previous government or with anything the Conservatives had put in place. It was the Liberals’ execution of a flawed process. This is all that Cathy knows how to do. Blame the current government for everything that her government screwed up. I do agree that the Liberals let themselves be suckered by Kinder Morgan into buying a pipeline because it was a losing proposition they wanted out of. This is politics one 0 one just as everything in Canada becomes. The people and the actual issue gets lost in the mire of power politics. They care not about you only about themselves and being in power. The party does not matter, you can see that by the Provincial politics, it is and has always been a power trip and oh maybe if all else fails they will claim to be looking after your interests. As the previous respondents have argued, I too will pick one or two reasons why I disagree with Cathy McLeod’s writings. Northern Gateway was abandoned because pipeline expansion has always been unpopular in the province. It was deemed easier to expand an existing one than to build a new one in uncharted territory. Besides – bitumen goes to Puget Sound and not the Orient, so this decision was a simple one. On the Trans Mountain expansion, First Nation groups are involved of course, but what about the “other” population – the residents of the Interior or the coast? of Burnaby proper or greater Vancouver? Rachel Notley’s clumsy approach to limiting production in an effort to raise prices is an interference in the market forces that determine price. Husky, Suncor, and Exxon (Imperial Oil?) were doing just fine because they add value to feedstock bitumen because they had the foresight to build upgraders to add value. They have not been suffering! About the only point I will agree on is that the NEB consultation process was not adequate. That was obvious to most observers from the start. The reason is because the expansion plans were a foregone conclusion – the rest was smoke and mirrors. Plans went sideways when the residents of Burnaby and their elected representatives put up a fight because Kinder Morgan didn’t even know where they intended to put the new line. Finally, the Liberals did not “have” to buy the KM pipeline liabilities. That is exactly how KM shareholders viewed this, because they were positively delighted to see Justin Trudeau commit billions of taxpayers dollars on what is essentially a dead dog. Conservatives or Liberals – same party because all of them are in the hands of big oil. It is time for us to look at what is happening with Volvo, with Volkwagen, in Norway and Germany, China and elsewhere to see that the route to the future will not be mired in the past and in ancient fossil fuel technology. This focus on blaming the opposition is, in essence, exactly what is wrong with the current approach of all participants, toward governance. We need leaders, and MPs, who will focus on solving real problems rather than passing blame,…Not only is this approach useless, but it is also an unconscionable waste of money and, much more importantly, very limited time to solve existential issues around the required transformation of the energy industry. As citizens, we deserve better than this. I stopped reading when the statement of hundreds of thousands of job losses was expressed … Fake news ! 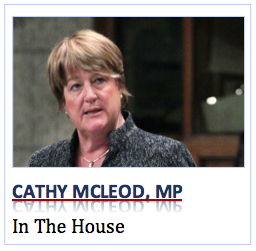 Bull….if Harper and Ms.Mcleod had done their jobs, we wouldn’t be buying this one…your only using your own political mistakes to bad mouth the liberals.